Many a cyclist has fantasized about being able to bike right over the chaos of a city, avoiding traffic, intersections and trouble areas so they can just enjoy the ride. 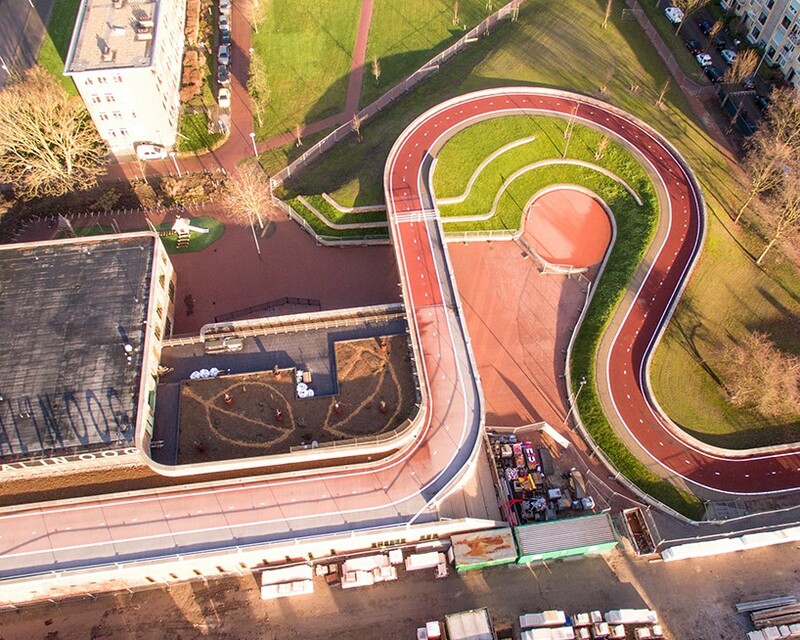 A Dutch architecture firm has made this fantasy into a reality with a continuous bike bridge that crosses the Amsterdam-Rhine Canal in Utrecht and then loops right over an adjacent university building’s roof. 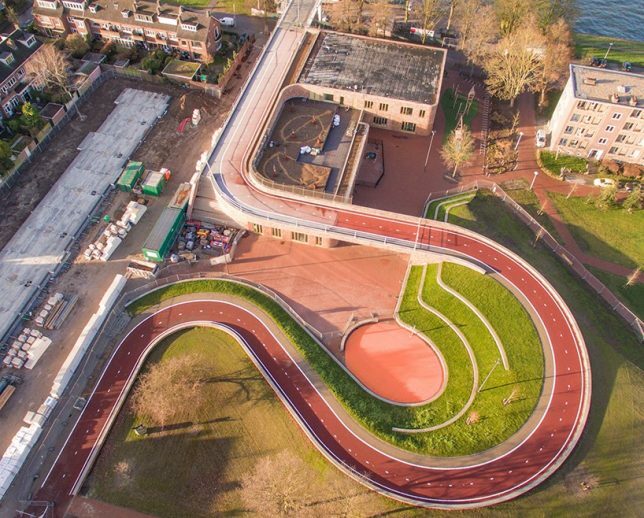 Officially open this week, ‘Dafne Schippers Bicycle Bridge’ by NEXT Architecture reclaims urban space for people who aren’t driving vehicles. It’s unusual to see a bridge so seamlessly integrated into adjacent infrastructure on land in a way that’s interactive with the public, while also performing an important service. 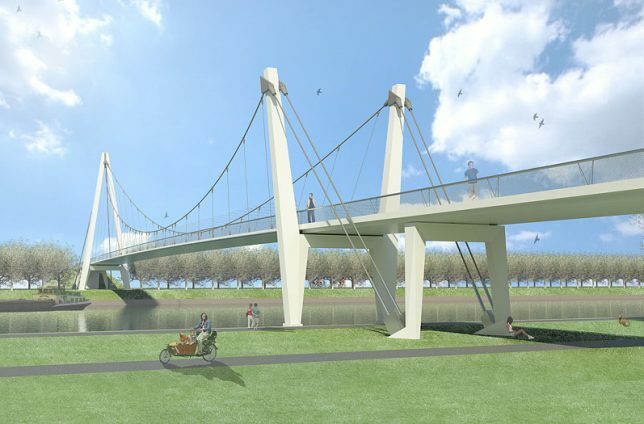 Measuring 360 feet long, the bicycle bridge connects the old Oog in Al section of Utrecht with new district Leidsche Rijn. Open to both cyclists and pedestrians, it lifts up off the ground in Victor Hugo Park, reaches a pinnacle of nearly 115 feet above the surface of the water, and continues onto the roof of a local Montessori school.The bridge then loops around a public garden before once again reaching ground level. Commissioned by the city of Utrecht, the structure will save more than 7,000 cyclists time on their route each day. The architects wanted the bridge to connect the bicycle route, park and school in a single fluid movement, creating a cohesive landscape. With the bicycle bridge on the south side, space for a recreational area is created on the north side, oriented toward a park. It would be cool to see architects take inspiration from NEXT’s creation to the next level, building something even more complex that’s lifted above the busy streets of an urban center.